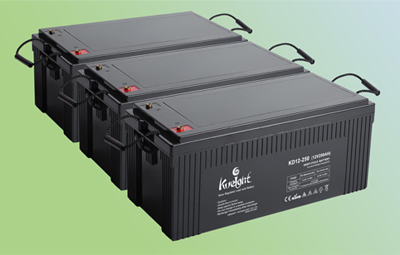 By combining up-to-date DCP additives in the positive plates and special AGM separators, KWEIGHT created an innovative range of Deep Cycle batteries, which mainly includes 2V 6V & 12V deep cycle battery. This range features 70% higher cyclic life with 12 years of float life when compared with the standard Duration range. This series is highly suited to very unreliable power applications requiring the batteries to provide extra cyclic life performance such as outdoor applications, small RE systems and electric vehicles.